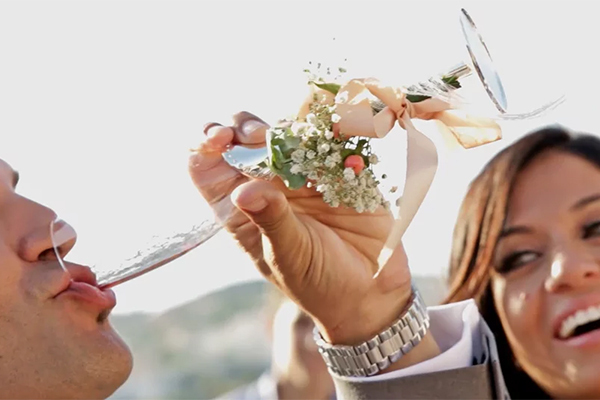 We are sharing today an amazing wedding video by Vasilis Kantarakis Films of a beautiful destination wedding in Monemvasia! Kirsty & Simon travelled all the way from Australia to Greece to hold their wedding and they had a lovely emotional day that they will remember for ever! “My wedding video not only captured the magnificence of our wedding destination of Monemvasia, but also captured all the emotions we had in the day. We had an intimate wedding, and Vasilis was amazing in capturing all we felt on the day that people back home feel like they were there just from watching the video. The place, the set-up, the ambience were all so perfect and we feel we can re-live the moments from the video, it is something we will cherish forever!”, the bride shared! “Simon was a professional Australian footballer who now runs a local football club. I started working at the football club as a Podiatrist (foot doctor) and to the delight of everyone at the football club we soon became more than friends and have given each other exactly what we needed in life. 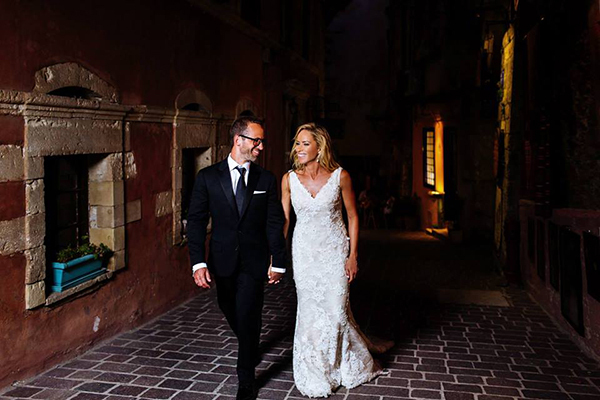 On a weekend away visiting where Simon was born, in a small state of Australia called Tasmania, Simon proposed over a candle lit dinner and we were both so excited to start our lives together and decided to get married in the Peloponnese Greece, where my grandparents came from”. 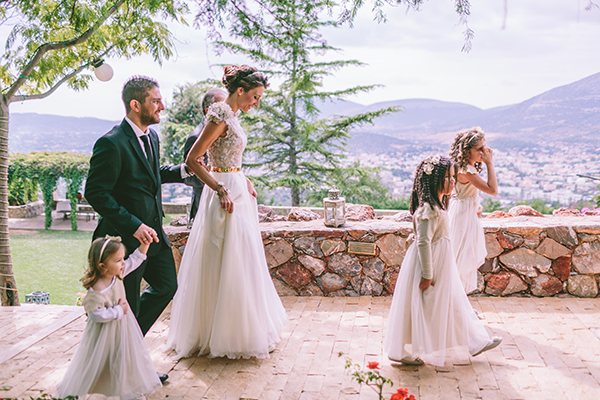 “I wanted my Australian guests to experience a traditional Greek wedding as much as possible and my wedding planner Joanna created this perfectly. She incorporated olive branches and white flowers to make it an authentically Greek setting and exemplified the beauty of Monemvasia castle in the background. The best moment of your wedding was having the happiest day of my life! Having my closest family and friends see and share the love my husband and I have in an amazingly surreal beautiful Greek destination and embracing the Greek culture to celebrate the most special time in our lives”.